Fantastic colours and such a pretty flower! Beautiful burst of yellow in the middle. I didn't know water lilies could be blue - or is it something else? Wow, great burst of colour! Beautiful pic! Just gorgeous!! The light on the centre is really great! @mejbronant Yes, this is a water lily. A very unusual and striking color. you find the most unusual and beautiful blossoms, Denise. 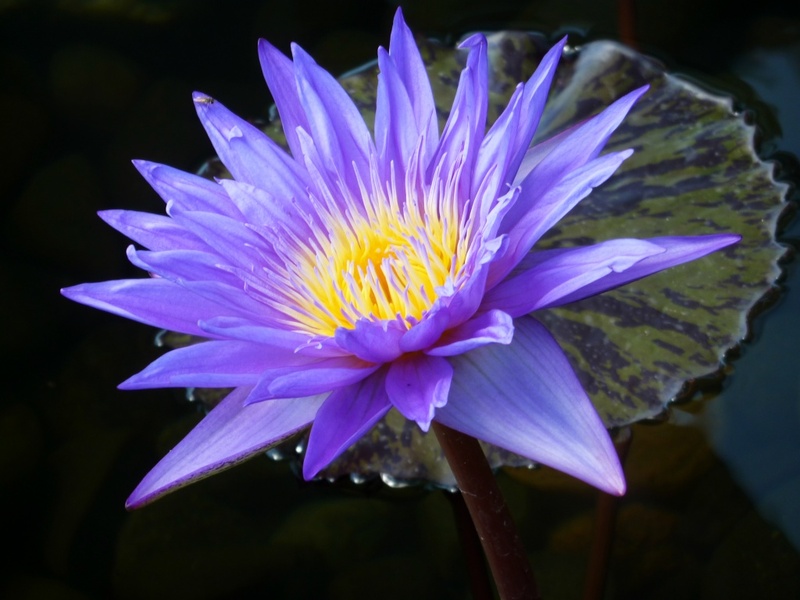 i have never seen a water lily in the color, how wonderful it is! gorgeous purple and yellow Denise! So vibrant, it almost looks electric! Beautiful! Like the DOF. Looks very pretty! The lily always a beautiful subject to capture...beautiful shot! Oh, yes! Stunning - fave! So beautiful! I love the purple hues. Very attractive! Beautiful, water lilies are just about my favorite flower.....! Splendor is right! Magnificent soft color. Very dreamy-like. I absolutely love purple and yellow together. Beautiful. Fav! Love that colour, such a happy photo. what a fantastic burst of beautiful color! It is gorgeous - looks all lit up light someone plugged it in! Another beauty and probably will be on the PP!! I hope so! Love the crisp angles of the petals and beautiful colour. Wow, another beautiful flower shot!! Great shot! I really like the colors. Nice. Another majestic shot from the lady magician of the floral world. This is just stunning Denise! Not sure how I missed this one, but just gorgeous!